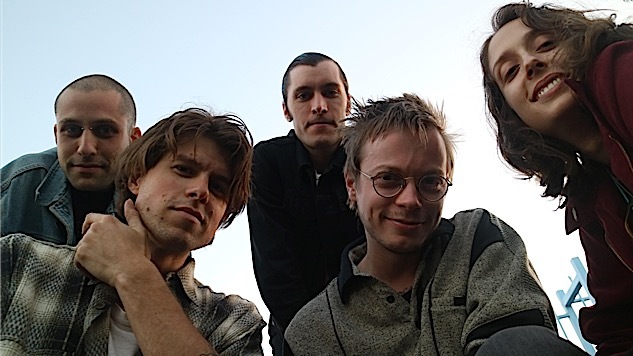 Let Wand Take Your Breath Away with Their New Single "Thin Air"
Los Angeles band Wand shared their barreling new single “Thin Air” Tuesday, a follow-up to the previous released “Scarecrow.” It’s obvious that nothing’s slowing this band down after their last record Plum (2017) and their 2018 EP Perfume. The prolific psych-rockers are heading out on tour soon in North America and Europe to celebrate their forthcoming album, Laughing Matter, out April 19 via Drag City. This new track is unrelenting, pressing forward with insistent drums and quick plinks of the piano. Guitars cut through the melody like exuberant buzzsaws, while frontman Cory Hanson’s voice leads the way with earthy clarity. Let Wand carry you on up through the “Thin Air” to shoegaze heaven. Listen to to this latest single here and explore their tour dates below. If you’re like to get to know the band better, check out Paste’s 2015 interview with Wand right here.